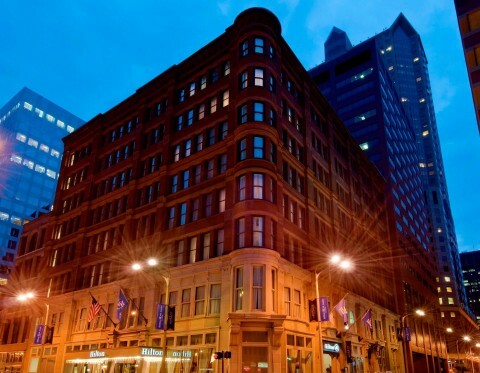 NEW YORK--(BUSINESS WIRE)--MCR, the sixth-largest hotel owner-operator in the United States, has sold the 195-room Hilton St. Louis Downtown at the Arch, located at 400 Olive Street in St. Louis, Missouri. The firm purchased the hotel in December 2016. MCR generated a 44% IRR on the investment. The transaction closed September 6, 2018. “The returns generated by the sale of this property are a testament to MCR’s investment strategy: purchasing well-located hotels, improving operations and selling opportunistically — in this case, less than two years after acquiring the property,” says Tyler Morse, CEO and Managing Partner of MCR and MORSE Development. MCR is the sixth-largest hotel owner-operator in the country and has invested in and developed 104 hotel properties with more than 12,000 rooms in 27 states. MCR’s hotels are operated under 11 brands. The firm has offices in New York City and Dallas. MCR is a recipient of the Marriott Partnership Circle Award, the highest honor Marriott presents to its owner and franchise partners, as well as the Hilton 2017 Top Performer Award. For more information, please visit www.mcrinvestors.com.